Fight animal cruelty with cupcakes! 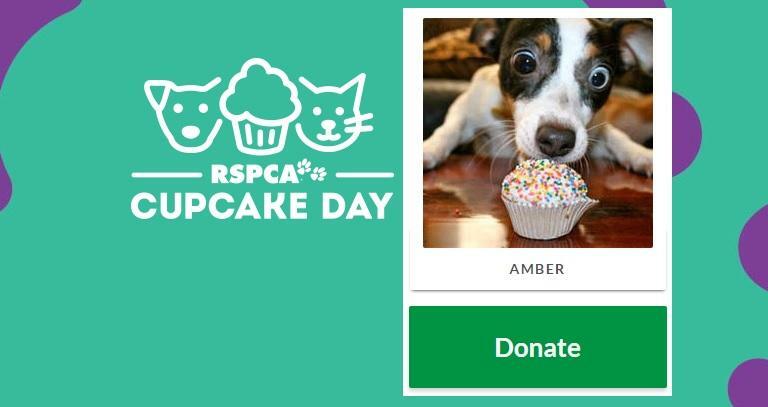 The RSPCA Cupcake Day for 2017 gathers bakers from across the nation to make a stand for animal welfare. Absolutely 100 per cent of funds raised through your baking efforts will help rescue, rehabilitate, and re-home the 135,000 animals that come through RSPCA shelters every year. Cupcake Day is officially on Monday 21 August so you better get your cake on if you want to join! Every dollar you raise will change the lives of animals in need. The RSPCA receives less than two per cent of our funding from the government, so we rely on the generosity of people like you. The money you raise will rescue animals from cruelty and prepare them for their forever homes, by providing shelter, nourishment, veterinary treatment and rehabilitation. The RSPCA (Royal Society for the Prevention of Cruelty to Animals) is a non-government charity providing animal care and protection services. They run 40 shelters and employ around 1,000 staff and company mission is to prevent animal cruelty through actively promoting their care and protection. To achieve this, they work to enforce animal cruelty laws, prompt new legislation and prosecute those who harm them. Further to this they also operate animal care and adoption facilities to care for the abandoned, surrendered and injured. The money raised from Cupcake Day 2017 will rescue animals from cruelty and prepare them for their forever homes, by providing shelter, nourishment, veterinary treatment and rehabilitation. I've created this page because I want to make a difference. I'm inspired by the work of RSPCA NSW and wanted to support them by raising money as part of my participation in RSPCA NSW Cupcake Day 2017. Please help me help them by giving whatever you can using the 'Give Now' button. The more people that know about RSPCA NSW, the greater their impact, so please also spread the word by sharing my page with your friends and family. Thank you in advance for your generosity, it means a lot! 8 cupcakes sold can provide an orphaned kitten with a bed, litter tray, meals and a toy. 16 cupcakes can cover one week of antibiotics for an animal recovering from surgery. 33 cupcakes can desex a cat or dog so they can be adopted. 80 cupcakes can subsidise emergency surgery for an animal. 115 cupcakes can subsidise the cost of prosecuting a cruelty offender in court. Our company (hipages Group) will be matching every dollar she earns up to her $500 goal! Hosting your own Cupcake Day! Hosting a Cupcake Day is as easy as pie. Just pick a date, time and place… then make sure people and cupcakes are there! The official date for Cupcake Day is Monday 21 August 2017. But we understand there’s never a bad time to eat cupcakes, so you can choose to hold your event on any date that month! Register - Register now and you’ll receive an exclusive Cupcake Day host kit! Prepare - Plan where you’ll hold your Cupcake Day and what you want to bake. It’s all up to you! Host your Cupcake Day - Happy Cupcake Day! Bank your funds - Remember to bank your funds via your online fundraising page. People will donate to support a good cause, so it’s important to make sure their money goes straight to animals in need.